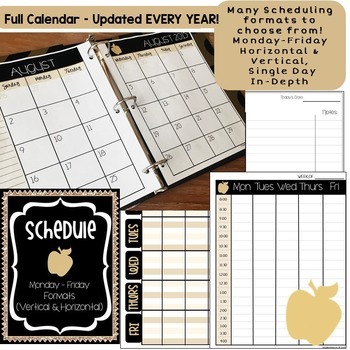 ***THIS PRODUCT HAS BEEN UPDATED FOR 2019 - AUGUST 2020 - This is a lifelong tool, I will update every year! 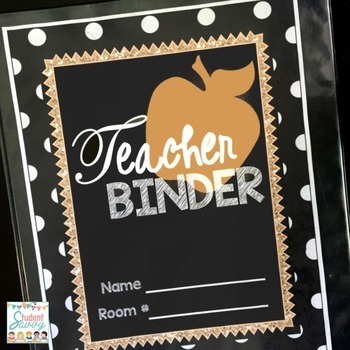 Download all three matching binders in a set - Teacher Binder - Substitute Binder - Student Binder - Over 40% savings! Have all your classroom info at your fingertips! 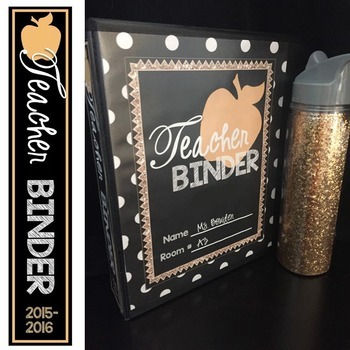 With the Glitter & Gold Teacher Binder, you'll have an entire calendar plus schedule sheets in several different formats! (Horizontal, Vertical, Single-Day, In-Depth, etc). 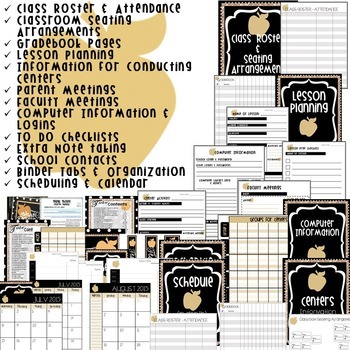 You'll also have information on your lessons, centers, grouping, seating arrangements, faculty meetings, parent meetings, to do lists, contacts, rosters, grading, note taking and more!